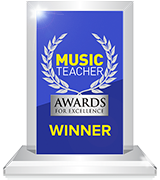 The modern, exciting, digital resource to help teach primary music. You can use it as a modern ready-made music scheme for the whole school or as a digital resource library to build, support or enhance your own scheme. All the materials are supplied as ICT resources for whiteboard so they look and sound great for the children and provide valuable added features to help your teaching. If you did want to print out all the supporting PDFs included in Musical School you would have to find room for over 300 50-page music books! Progressive Units of Work based on rich musical material form a spiral of learning from Reception to Year 6, where all lessons include Listening and Appraising, Musical Activities such as improvising and composing, and performing suitable for the age group. Modern schemes for recorder, ukulele and singing with progressive week-by-week lessons, whiteboard resources, print-outs and planning support, are complemented by online learning activities for children to use between lessons in school or at home. The topics are a library of songs and activities based on popular primary themes ideal for short musical moments and for cross- curricular learning. These collections can be combined with the Units of Work to create your own music plan. A bank of nearly 250 songs from nursery rhymes and action songs for younger children to Bon Jovi and ABBA for your Year 5s and 6s. The songs are easy to use on a whiteboard and have ‘with and without’ vocal part versions. You can use them online or download as many as you like. You can now support the children learning instruments in your school. Music World for 24 different instruments provides a safe online world of avatars, musical games and interactive pieces to help children practise more and continue learning between lessons. There are musical elements, cartoons, music videos, audio recordings. You can build, edit and share your lessons with your colleagues and pupils. Musical School can be an invaluable asset for your school and a great way to blend in technology to great musical effect. Explore Musical School’s Units of Work in detail and see how they can build together with the topics, courses and other resources to provide a whole-school music curriculum. Discover how you can build your own lessons from the library of resources and share them with your colleagues and pupils. 2. Whole staff ‘hands-on’ session. This session is designed as a practical follow up to the whole staff training session. Working in your ICT suite the Trainer will facilitate a range of tasks to ensure everyone is confident with the site. The session will end with opportunity to ask questions and share ideas and resources. 3. Update your school music plan. Time will be spent working together to create a music plan that reflects your schools’ aims and aspirations. Links can be made to themed or cross-curricular learning and other key features of your school. 4. Demonstration lessons using Musical School. Our experienced trainer will teach a 30 minute music lesson using the Musical School programme, modelling a range of activities and showing how the resources can be used to promote musical learning. These lessons can be observed by colleagues and many schools will buy in 3 consecutive lessons on a single day, focusing on the progression from KS1 to Lower and Upper KS2. Any 2 packages can be combined for a cost of £300, 3 for £400 or 4 for £500. Twilight training events are held regularly at local schools and music centres across the area. All schools are invited to send their key staff along and in many cases those attending will be confident to feedback and support their own school colleagues. These face-to-face training events are further supported with opportunities for self-directed online learning through a wide range of help and support guides, a named CPD contact person and a helpdesk for technical issues. Additionally, teachers are encouraged to share their successes, ideas and suggestions through the resource-based Teachers” Sharing Space and community forum. Music has just raised its game! Musical School has given my staff the confidence and the resources to deliver exciting music lessons. The sessions are quick and easy to organise and can successfully be taught by non-music specialists. The children clearly enjoy the dynamic, fun and stimulating sessions and our teachers are learning valuable new skills. I think Charanga is absolutely fantastic. I use the rhythm grids as a starter activity in all my classes and the pupils' understanding of rhythm, the accuracy with which they perform has really improved. I use the recorder course with my clubs and they love all the songs. This half term I'm also teaching the hip hop topic with my y6s and it's going really well. I look forward to some more exciting resources. Many congratulations to you and your team. Should you ever need a formal reccommendation, I would be very happy to oblige. I am a year 4 class teacher and even I have the confidence to deliver music using these resources … they are brilliant and the kids love them! … so exciting to have access to materials that can engage pupils throughout the entire school! Just to let you know the children loved the resources – particularly the rhythm and beat cartoons! We followed the grids and then I got the children creating their own rhythms using a paper based grid! They were extremely engaged and enjoyed performing to each other! Now about to borrow some Michael Rosen clips for my poetry unit! We have been using Charanga for almost 2 years now and have found it a great resource for introducing our Primary school children to a range of musical disciplines. Its lesson plans are comprehensive, easy to follow and most important of all … fun. In addition, this is all supported by a great technical support team. I just wanted to let you know how much I’m enjoying Charanga Musical School. I decided to trial it across the whole school: KS1 is accessing Hands, Feet, Heart; Years 3&4 In the Groove and Years 5&6 Don’t Stop Believing. All the children are enjoying the different activities. A definite thumbs up from Upper Beeding. Read St John’s Primary School is a rural village primary school in Lancashire with approximately 200 children. The school took up the Musical School programme in 2012 and have since experienced an extremely positive reaction from teachers and children alike. Despite having a dedicated Music Coordinator and utilising various published music products such as Music Express, the school was struggling to find flexible, creative and innovative resources with which to fully engage the children. The school found that with its diverse pupil population, some of which were learning instruments through the music service, the school required a resource package that offered differentiated activities that could include all children. In all, the schools’ musical life lacked cohesion and focus and the school found itself craving a modern music curriculum that non-music specialists could also use confidently. The school received a whole staff CPD training session with Musical School as well as model lessons in order to upskill and empower the KS1 and KS2 Class Teachers. In addition, time was spent with the school’s Music Coordinator to decide how the package would work best for them and be tailored to their specific needs in order to create and embed a complete Musical School offering. Once the programme was implemented there was a noticeable improvement in the school’s music department. Musically, everything in the school is now linked together, from Foundation Stage to Year 6. Whole Class Ensemble Teaching (WCET) and small group instrumental lessons were an integral part of the school’s music department turnaround and the children that learn an instrument can now perform as part of their class music lessons. The teachers at Read St John’s are now using Charanga’s Units of Work as part of their curriculum delivery. One Class Teacher commented that, “The kids love it! They are so engaged, like never before. The songs are relevant and the school is buzzing! It’s inspiring, innovative and simple to use for non musicians”.